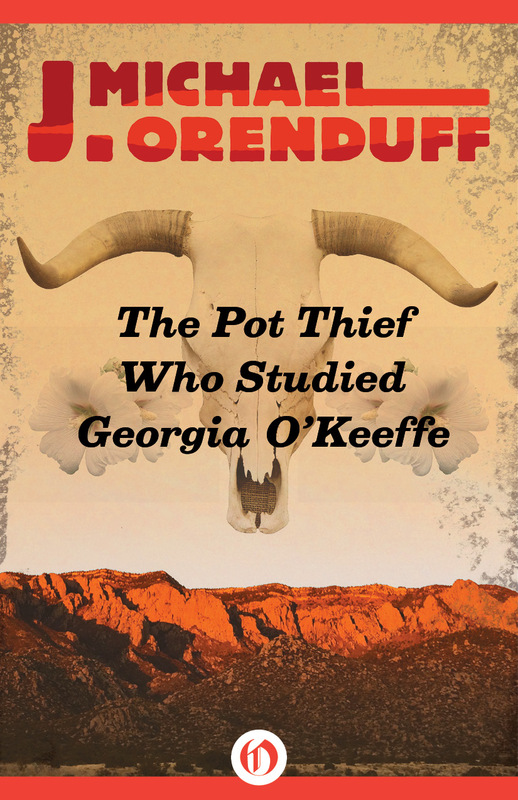 Last week I reviewed the Pot Thief Who Studied Georgia O’Keefe. I’m delighted to have the author as my guest today. Bio: Mike Orenduff grew up in a house so close to the Rio Grande that he could Frisbee a tortilla into Mexico. A former president of New Mexico State University, he took early retirement from higher education to pursue his career as a fiction writer. 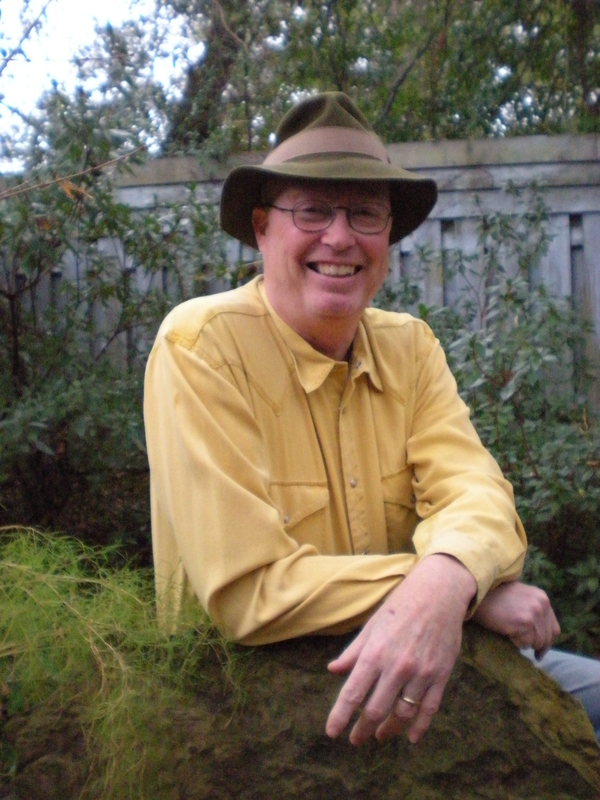 His many accolades as an author include the Lefty Award for best humorous mystery, the Epic Award for best mystery or suspense e-book, and the New Mexico Book Award for best mystery or suspense fiction. AF: You’ve been a professor at various colleges. What did you teach? Which class did you most enjoy teaching and why? AF: What’s your favorite place you’ve lived outside of New Mexico? Could you share an anecdote or memory from that place? AF: Your books make me want to pay more attention to very old Native pottery. What would be the best places to go for a (legal) pottery tour of New Mexico? JMO: Of course the shops and museums in Santa Fe are the places most people associate with ancient Native pottery, but my favorite place is Western New Mexico University in Silver City. Their museum has the largest collection of prehistoric Mimbres Mogollon pottery and artifacts in the world, including pottery and artifacts of the Upland Mogollon, Casas Grandes, Salado, and Anasazi. And as an added benefit, you can tour the Gila Cliff Dwelling just north of town and see artifacts in situ and where the people lived who made them. AF: You share my love of T or C. I noticed that every place you mention there is real. What about the places in Albuquerque? I found myself guessing that every location except Hubie’s shop might also be a real place, but I seldom dine out in Albuquerque so I’m not sure. Are they? What’s behind your decision to use actual places rather than fictitious versions of them? JMO: You guessed it. Every place is real. The only fictional ones are Hubie’s shop and Dos Hermanas. All the other places are real, even Sharice’s condo. Georgia O’Keeffe said that she preferred painting flowers instead of models because flowers, “are cheaper and they don’t move.” I prefer real places because it’s easier to describe them than to make up new ones. And I like to give them free publicity. AF: What made you choose the White Sands Missile Range for Hubie’s latest pot thieving adventure? JMO: There were several reasons. Perhaps the most interesting one is a real event that happened there is 2001. A man hunting Oryx found a Chupadero black-on-white water jug dating back to around 1300. Where else could that happen? Especially the Oryx part. AF: Why Georgia O’Keeffe in the title? JMO: After starting out with a bunch of dead white males with no connection to New Mexico, I finally tumbled to the realization that I should use people with NM connections such as D. H. Lawrence. Then I decided a woman in the title would be good. And I chose O’Keeffe because she is strongly identified with NM but also because I had a small personal connection with her. In 1985, I was serving as the academic vice president at West Texas State University, known as West Texas State Normal College when Georgia O’Keeffe taught there from 1916 to 1918. We were celebrating the 75th anniversary of the school’s founding and looking for something to make the event special. I decided we should ask O’Keefe to grant us the right to make prints of a painting she had done while teaching there and allow us to sell those prints to fund scholarships. I gave the task of approaching Ms. O’Keeffe to my wife, whose charm and grace were best suited to the task. And it helped that she is also an artist and an art historian. O’Keeffe granted her request. So Georgia O’Keeffe helped me raise scholarship funding and also inspired me to write the latest book in the series. AF: Who are your favorite mystery writers? What is it that makes them stand out? JMO: In no particular order and with apologies to the many others whom I like but didn’t pop to mind: Simon Brett, Michael Bond, John Mortimer, Mary Jane Maffini, Aaron Elkins, Carl Hiaasen, Leann Sweeney, Lawrence Block (but only his Bernie Rhodenbarr series), and Tim Hallinan (especially his Junior Bender series). What makes them stand out is clever humor. AF: Did you know you were going to write a series when you wrote the first Pot Thief book? Which book in the series was the most challenging for you to write and why? JMO: I knew it was to be series, but I didn’t know the titles would all start with The Pot Thief Who Studied…. In fact, the working title of the second one was The Pot Thief Who Gazed at the Stars. What was I thinking? The first was the most challenging because I had to create everything from scratch. The rest somewhat less so, but I try to have the characters grow and develop as people do in real life. AF: Any idea what the pot thief will study next? JMO: Edward Abbey. Like Hubie (and me), he was a graduate of the University of New Mexico. AF: One of my favorite writers—and a good match with Hubie. I look forward to it.